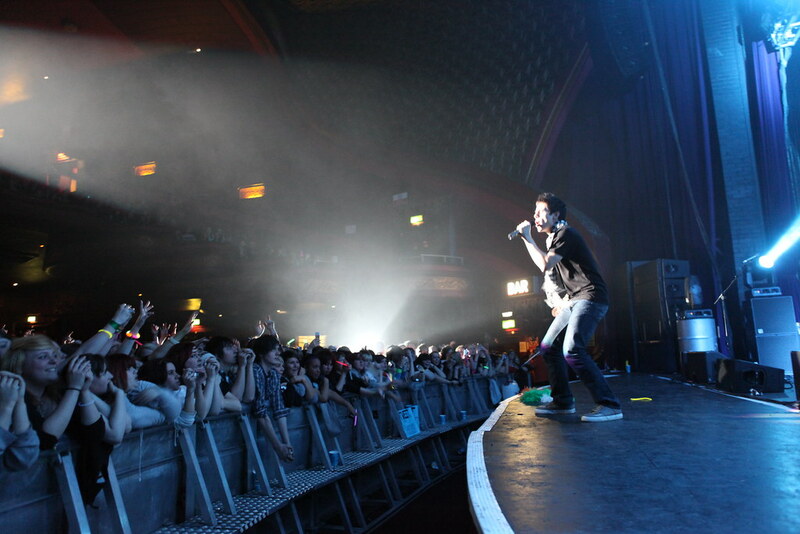 The runner -up of American Idol’s seventh season was in town supporting McFly. With over 40 MILLION votes (more than 13m votes than the total cast in the UK’s last general election) he somehow still managed to come second. I was there not only to photograph but also to review for Female First, which you can read here. David Archuleta shares his name with a Japanese-based hip-hop vocalist and middleweight kickboxing champion. Amusingly, the two couldn’t be farther apart in terms of talent. The dulcet tones of the 18 year old achieved runner up the in seventh season of American Idol, going on to debut at number two on the Billboard 200 chart, then selling over 690,000 copies of his album in the US alone. Tonight though, Archuleta managed to shake the trend of being number two, and be support for McFly on their UK tour. Usually host to events heavier in nature, the Manchester Apollo was transformed into a venue full to the brim of screaming teenage girls, while their dads waited patiently in the car park. Archuleta put on an impressive performance, showing no signs of any stage fright or shyness. The man who won over 42 million votes in American Idol clearly knows he has a talent, and shows it off well. The entire performance is peppered with interaction with the crowd, reaching towards the front rows, and receiving the same back from hundreds of fans. Based on the reaction he’s getting on this side of the Atlantic, it can’t be long before we hear more from him.